Home › Cosmetic Dentistry › Tooth Implant vs Bridge: How Do They Compare? Tooth Implant vs Bridge: How Do They Compare? At Nashville Center For Aesthetic Dentistry, our cosmetic dental patients often want to know what the differences are between dental implants and dental bridges. Both options are dental restorations that bring function and aesthetics back to your smile. But there are certain advantages or disadvantages depending on your choice. Let’s take a look at each option. 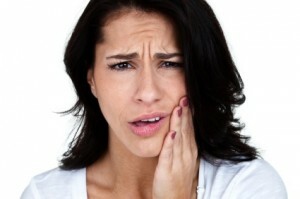 This is a common option for patients who want to replace one or more missing teeth. A restoration is created and affixed to the smile by attaching to neighboring healthy teeth. The structure of the surrounding teeth will need to be ground down to act as supports for the bridge. A disadvantage to consider is that the jawbone at the site of the missing tooth will shrink without anything in its place. Dental bridges are a good short term solution, but may need to be replaced within 5-7 years of placement. A dental implant is a restorative option for missing teeth that replaces the tooth root and caps the restoration with a dental crown. This option helps to keep the jawbone healthy and strong as it grows around the implant. Dental implants also do not negatively affect adjacent teeth. Cleaning a dental implant is easier than a dental bridge because an implant functions just like a regular tooth. You can brush and floss like you do with the rest of your natural teeth. Dental implants with proper hygiene have up to a 95% success rate. You should always discuss your dental concerns and options with your Tennessee cosmetic dentist to make sure you choose the best option for your teeth. Call Dr. Dennis Wells at Nashville Center For Aesthetic Dentistry today to schedule a consultation. ‹ Who Is A Candidate For Dental Implants?